SUMMARY: What type of content would be most valuable to your audience? How-to articles? Videos? Huffington Post-style listicles? To help you identify the best content type to share through your brand's social media marketing, we explore an analysis of 220,000 pieces of content in this MarketingSherpa Chart of the Week. To understand which formats earn the most shares, BuzzStream and Fractl analyzed 220,000 pieces of content over six months using BuzzSumo. They provided the data to MarketingSherpa, and we created the below chart showing the most and least popular types of content for each industry. 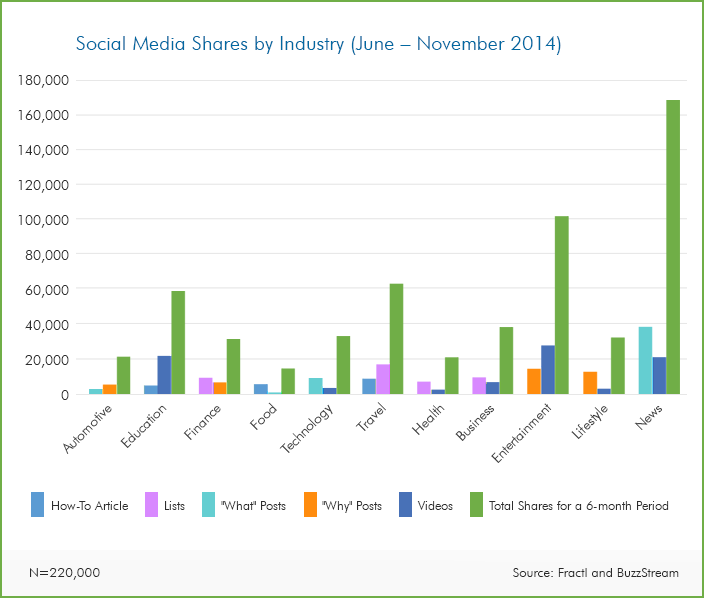 To create the above chart, the teams at Fractl and BuzzStream divided content into five types to see which type of content was most frequently shared in each industry. The news industry had the most shares over this six-month period (167,679), followed by the entertainment industry (101,381). Previous data we published from HubSpot (using different industry classifications) showed the nonprofit/education industry had the most interactions per social media post. 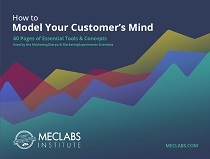 The biggest lesson from both of these data sources, regardless of industry classification method, is that your social media content should put the customer's needs (i.e., get help, learn something, be entertained) ahead of your own (i.e., sell something). In the HubSpot group of data, nonprofits — just by their very nature — were the most helpful industry in that grouping. For that reason, I don't think it was a coincidence that nonprofits were also the industry with the most interactions per social media post. In the grouping of industries in the above chart, news is the most helpful. After all, the reason news organizations exist is to provide noteworthy information about important events to customers (subscribers), and the industry has a rich heritage of putting the customer first. Editorial independence is baked into the product — the idea that the core function of the product is to serve the customers' best interests even when it would be more profitable (in the short term) and convenient to do otherwise (i.e., publish puff pieces about advertisers). Every industry should approach social media content with that news industry mindset — what is most helpful to our customers? Perhaps that's why how-to articles were the most shared content (5,568 over six months) from the food industry. How does your audience want content? It is also interesting to note that the data does not reveal a consistent best (or worst) content format across all industries. For example, 'What Posts' were the most shared content created by technology brands (9,073 shares over six months), yet the least shared content for automotive brands (2,886 shares). Ask your customers and potential customers what type of content would be most helpful from your brand. Take a look at what platforms and type of content your ideal customers most frequently shares. Then test (and iterate) to see what really works best.